In the Vall del Nord on a historic route from La Cortinada to the ancient mines of Llorts. A relaxed short hike, where there are a lot of remarkable and interesting things from history, traditional agriculture, building, architecture and creative art to see and visit. Approximate walking time way there and back: 2 h 15 min without rests. 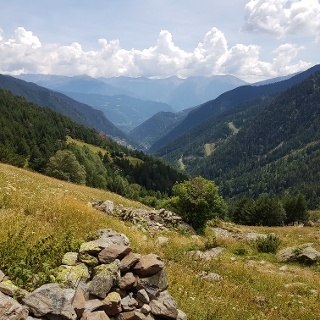 The hike runs along a section of an old transport route, where, still in the 19th century, the iron ore mined in the Llorts mines was transported on pack animals down to the forge of La Massana. It starts in the oldest part of La Cortinada, on the left side of the river Valira del Nord, and leads through a small residential area with some buildings in the traditional Andorran style. Then it crosses the river, passes a 16th century sawmill and the ancient Romanesque church of Sant Marti, the construction of which dates back to the 12th century, and then returns at the hamlet of Mas d'en Soler to the left side of the river. The path, lined with trees, hedgerows and shrubs, continues close to the watercourse, past the bridge of Arans, where the valley widens slightly and makes way for a vast field and pasture landscape. There, the path departs a little from the river, keeping closer to the valley slopes, and passes along fences, shrubbery and low walls through an area characterised by fields, where the Borda del Soler farmhouse gives an example of the cultivation of tobacco still practised here and there in Andorra. In the ascent to a low hill there is the monolith to contemplate, the first of a series of works of art that are set up by the wayside and in one way or another thematize ore mining. On the other side of the hill, the path returns to the river and now remains near the bank up to the mine. Other works of art follow, with a group of sculptures named "Familia Jordino", which is a bit higher up the hillside, deserving a special attention. The site is also a beautiful viewpoint across the valley floor to the wooded slopes on the other side of the valley. A little later, the site of the mine is reached, where the reddish-brown color of the earth caused by oxidation testifies to the presence of ferrous soil. 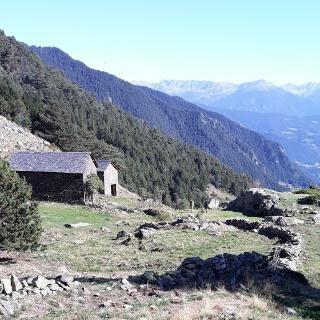 On the way back there is a short detour to the village center of Llorts, the visit of which is recommended because of the traditional and typical Andorran architecture of the houses and the medieval church. The historical hammer mill "Farga Rossell" in La Massana, not part of the hike but the end point of the Ruta del Ferro, is worth a visit. More information at www.ordino.ad/turisme/que-visitar/ruta-del-ferro. The hike, comparable to a promenade, is easy and can be done by anyone, including children. Solid footwear and clothes adapted to the weather. 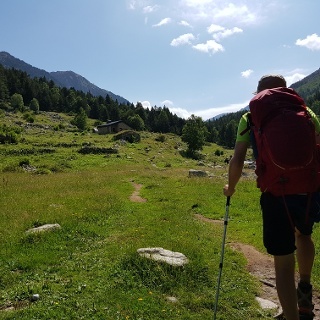 The hike can also be undertaken outside the recommended months, under snow-free conditions also in winter. The mines and the sawmill of La Cortinada are open to visitors from June to October, but mostly only for small groups. It is quite pleasant to take the way back, as the vantage points, perspectives and impressions change when going downhill. If you still want to do without the way back, you can take the bus from the mines or Llorts. Start and end point: Parking in the old quarter of La Cortinada. The trail is well signposted throughout. Some times are a bit misleading, but this is not relevant because of the short duration of the hike. Through La Cortinada, then over the river and up a bit on the road. Turn right over the first bridge to the hamlet of Mas d'en Soler, from there continue steadily along the signposted path. Until Arans there are also red and white trail markings of the long-distance trail GR 11, which takes a different direction there. Ignore branches to the right or left. Back from the mines for a short stretch and then to the right over the Pont de les Moles to Llorts. 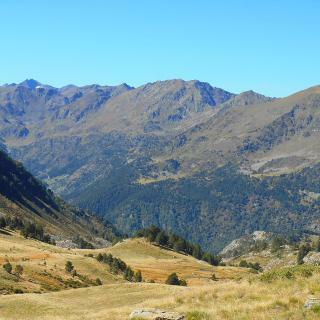 Then back to the main path and down in the valley to La Cortinada. 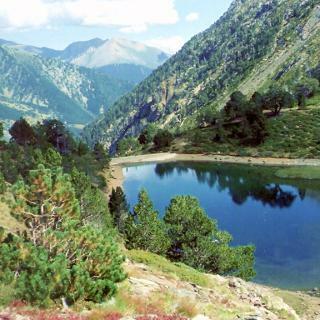 Andorra itself can only be reached by long-distance buses, eg from Toulouse or Barcelona. From Andorra la Vella to Ordino (bus stop preferably La CLosa) with the line L6. There continue with a communal line direction El Serrat until La Cortinada, first stop after the roundabout. The bus stop is only a few minutes walk from the starting point of the hike (continue on the road up the valley and then first turn to the right). As of 2018. 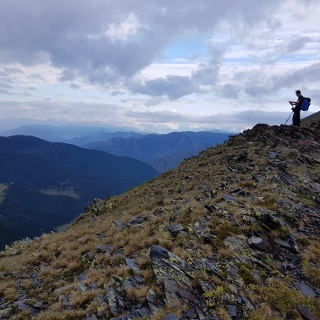 From Ordino on the CG 3 direction Arcalis. Through La Cortinada and after the roundabout on the first turn to the right, over the bridge and immediately to the left on the parking lot. Free parking at the bridge opposite the entrance to the Vall d'Ordino Golf Club (as of 2018).